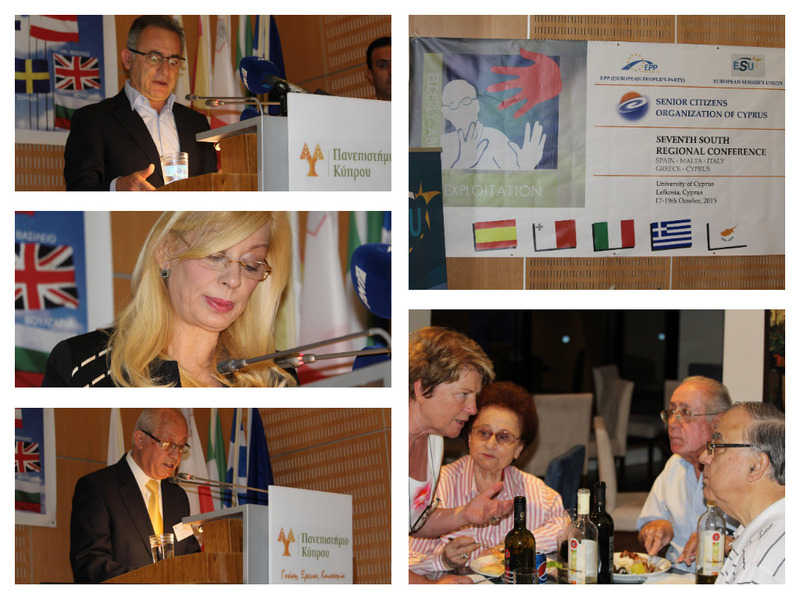 On 16 September 2015, several delegations arrived in Larnaca (Cyprus) for the ESU regional conference. They were welcomed by Antonis Demetriades and Pambos Georgiades. Almost 200 seniors participated in the regional conference on “Elderly abuse and exploitation“. 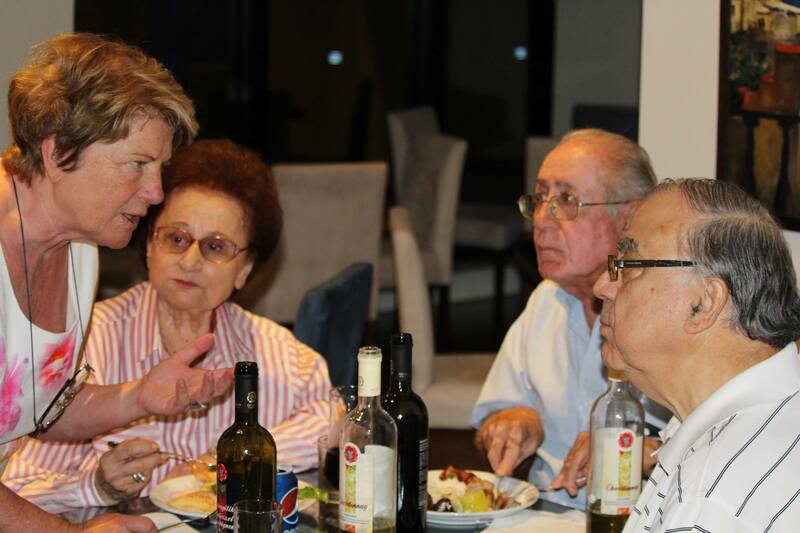 The conference was hosted by the University of Cyprus and organized by the Senior Citizens Organisation of Cyprus, chaired by Antonis Demetriades. Several personalities addressed the audience: Nicos Anastasiades, President of the Republic (video message); Mr. Averof Neofytou, president of Democratic Rally; Mrs. Zeta Emilainides, minister of Labour and Social Insurances; Mr. Ionas Nicolaou, minister of Justice; Mr. Antonis Demetriades, Mrs. Maria Kanellopoulou and Prof. An Hermans, president of the ESU. Some researchers highlighted different aspects of the complex problem of elderly abuse. Mrs. Maria Kanellopoulou (GR) and Hon. Dr. Herbert Messina-Ferrante (MT) reported on the situation in their country. For more information, see the report below.